Operation Sea Dragon was an effort to prevent supplies from North Vietnam reaching South Viet Nam. The Damato served three stints on Operation Sea Dragon. 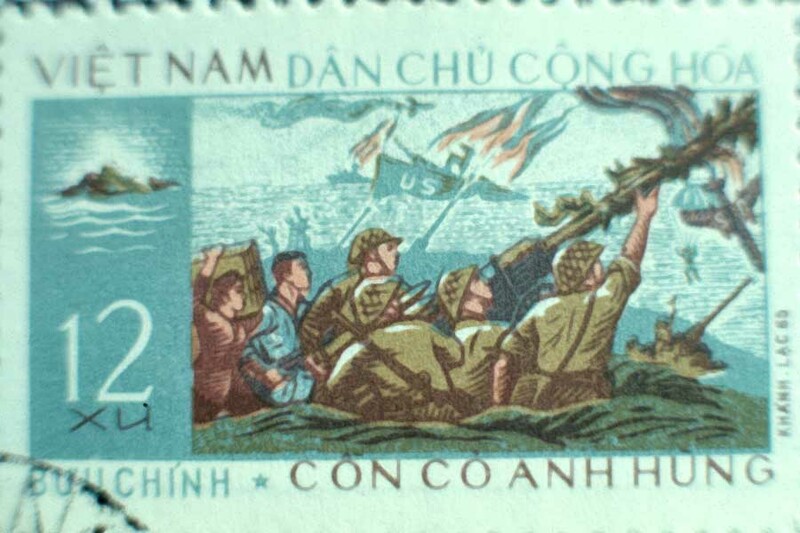 The first was in early September 1967, and ended when we took two hits from the coastal defense guns at Dong Hoi. The second was in early October, and our final tour was at the end of October. In total, we spent about 27 days on station. If we found trucks heading south along a coastal highway, we might shoot at them. Transfer points, warehouses and truck parks were also targets. If no trucks were visible we might try to block the highway by shooting at bridges, or by causing landslides. And whenever we had a chance we fired at coastal defense installations. But most of all, we were out to find Water Borne Logistics Craft (called WIBLICs - pronounced WIB lics). 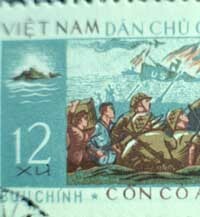 These were any kind of boat, large or small, found to be heading south or north near the Vietnam Coast in the Gulf of Tonkin. If we located them (usually visually by day, and on radar by night), we would shoot to sink. 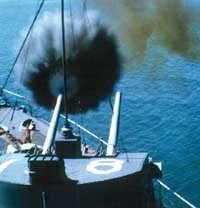 Damato had 2 twin 5 inch 38 gun mounts firing ammunition which included this Anti-Aircraft Common (AAC or Able Able Common) projectile. 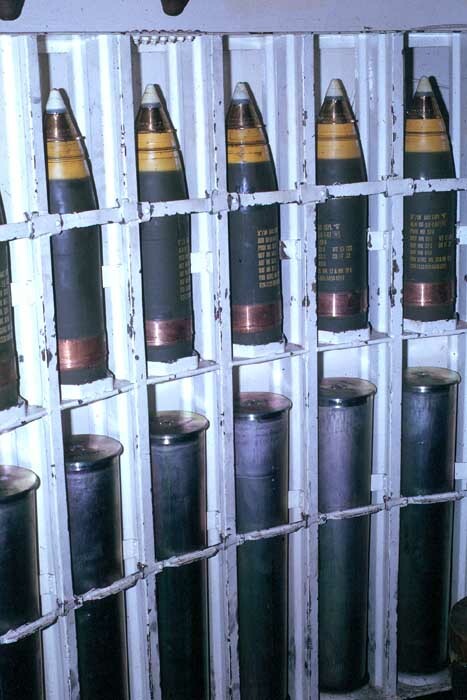 The ammunition for this gun looks just like the ammunition for a 22 hand gun except the projectile is not attached to the shell casing, and everything is much bigger (the projectile alone weighed 55 pounds). When the Damato was on duty in the Gulf the crew stood port and starboard watches; that is, we were divided into two watch sections (called the Port section, and the Starboard section), and each would stand duty half of the time as long as we remained in the war zone. But that didn't mean we had half the time off. In addition to using our off duty time to do the routine daily stuff like eating and bathing and equipment maintenance, the ship was often called to General Quarters (GQ or battle stations). 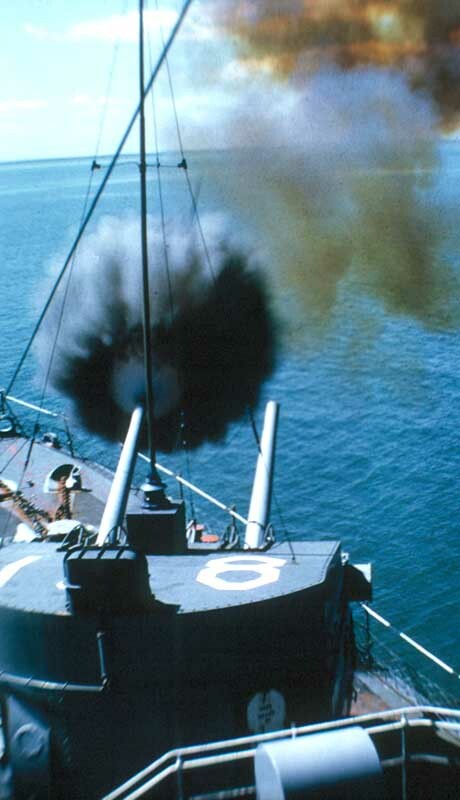 The duty section (Port or Starboard) was always looking for targets or threats, and when one was found, we were called to GQ, and would often remain there for hours on end. A typical event would start with a blip picked up on radar sometime during the night. Out in the gulf, it could only be a ship or a plane, and its speed would very quickly tell us which (To the best of my knowledge we never saw a hostile plane). 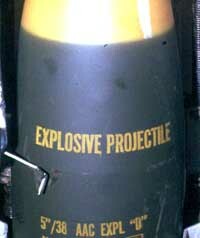 If its course was north or south it became a candidate to receive a few explosive gifts. The ship would go to general quarters, a firing solution would be computed, and we would begin firing. Often before we began to fire, the wiblic would suddenly alter course and begin heading east or west. When that happened, they were generally in the clear. I guess our orders only allowing firing on north or south bound wiblics, probably on the assumption that fishing boats would be headed in or out - east or west, and only war supply boats would be moving north or south. I don't know how the wiblics knew the time had come for a course change - perhaps they saw us, or perhaps they detected our radar emissions. 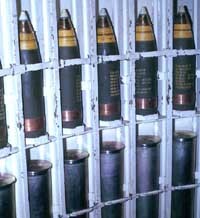 Anyway, if we did start firing we would lob a round or two, wait for the shells to land, determine the necessary corrections and crank them into the firing solution, then fire another round or two. We would usually keep at it until the wiblic disappeared from radar, or we were visually able to determine that it had been destroyed. 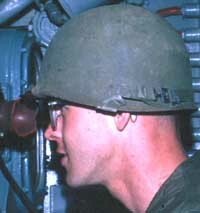 After a while general quarters would be secured and the guys in the non-duty section would head for their bunks. And if more wiblics were spotted later, it would be back to GQ. You can see that it was easy for a guy to not get much sleep. My watch station was in PLOT. 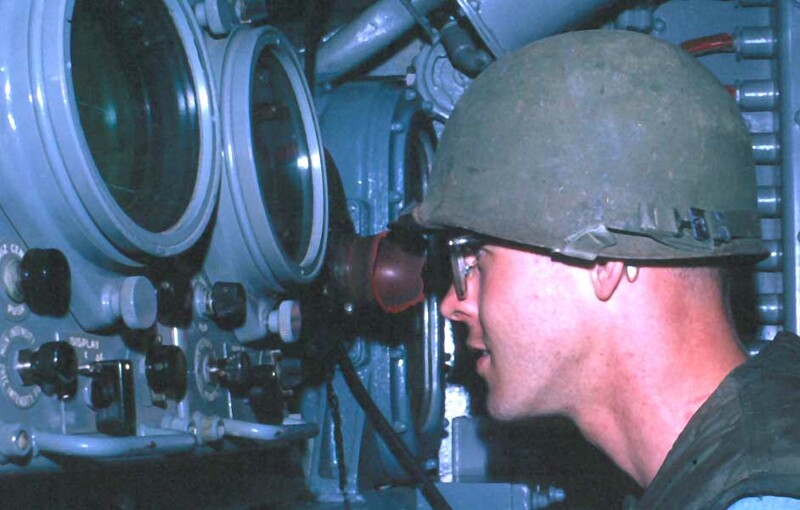 This was a below-decks space where the Mark 1A (gun) fire control computer, and the fire control switchboard were located. The other half of the same compartment was known as the IC (Interior Communications) room, where the gyro-compass and the ships equivalent to a car's speedometer and odometer were located, along with a switchboard for the ships many internal sound powered phone circuits. Our main job in PLOT was to be available to immediately develop a firing solution on the Mark 1A if a target should come along. And when a target came along it was usually not very long before GQ was sounded. We would start on a solution and those of us whose GQ station was elsewhere would hand off our work to the arriving fire controlmen and make tracks for our GQ station. But most of the time on duty there was little to do except be there. I don't think that sleeping on these extended watches was officially condoned, but in our situation where there were 3 or more of us on duty in PLOT, and nothing to do, we would take turns going behind the fire control switchboard and stretching out on the deck with our folded white hat as a pillow, to catch a few winks.